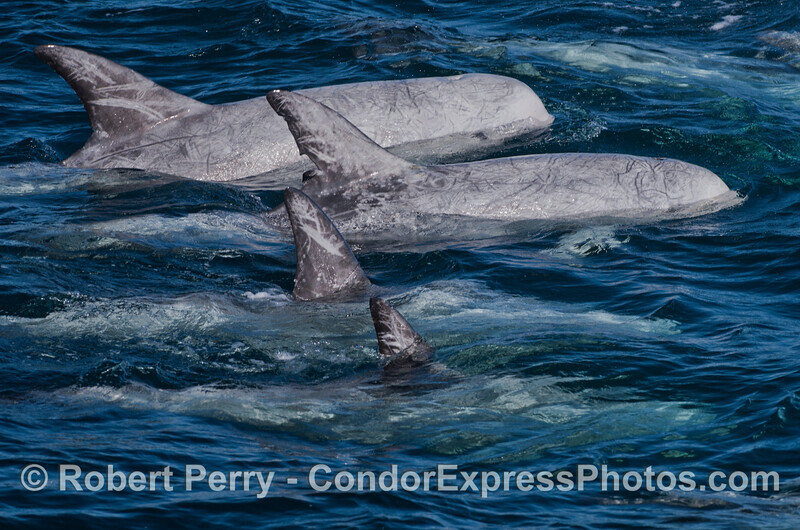 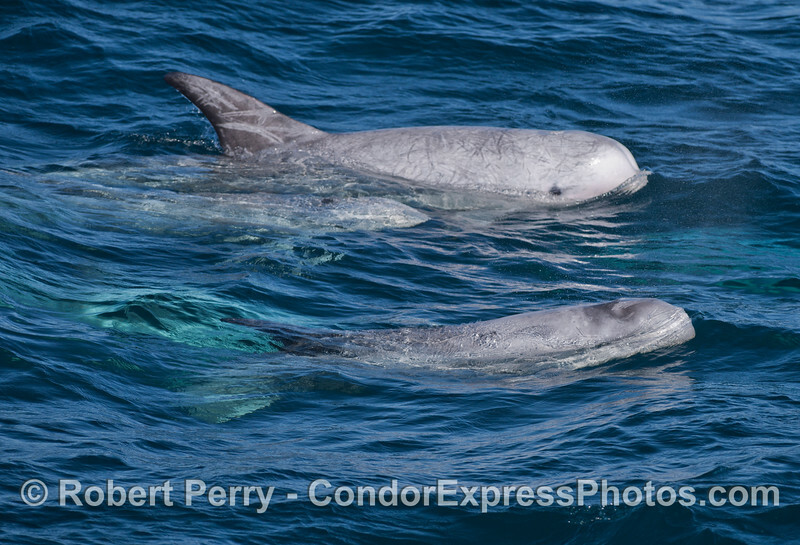 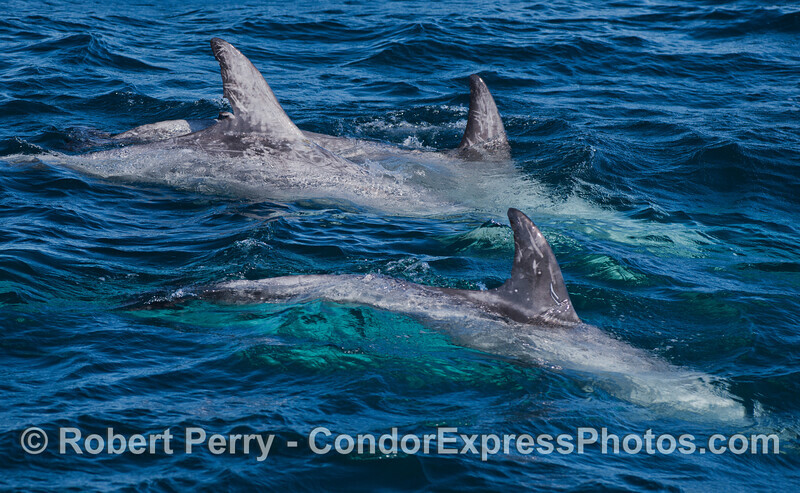 Lots of southbound Gray Whales AND the Risso's Dolphins were friendly. 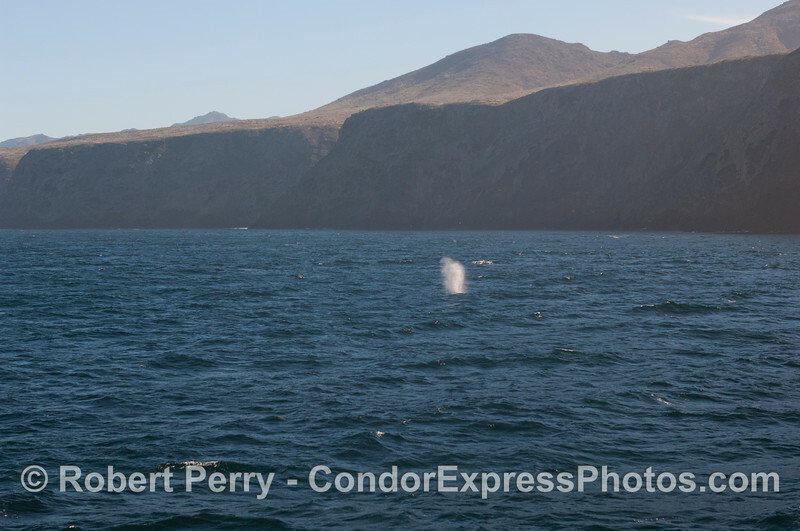 Two Gray Whales (Eschrichtius robustus) spout close to the north face of Santa Cruz Island. 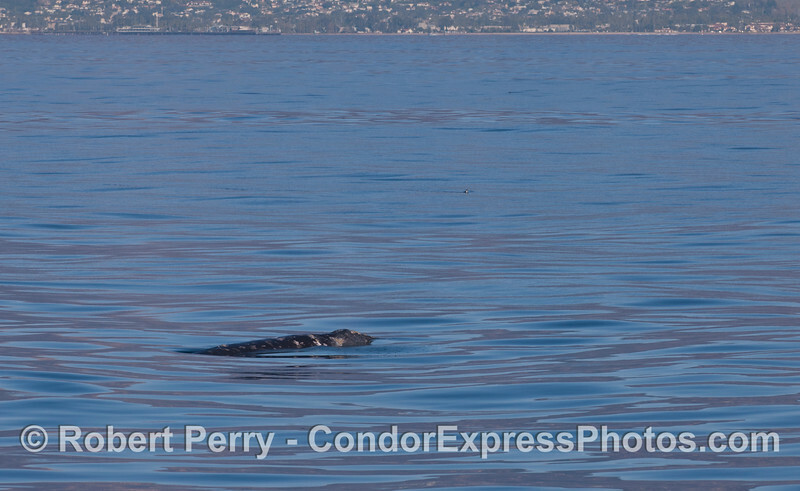 A Gray Whale (Eschrichtius robustus) with the Santa Barbara coastline in the background. 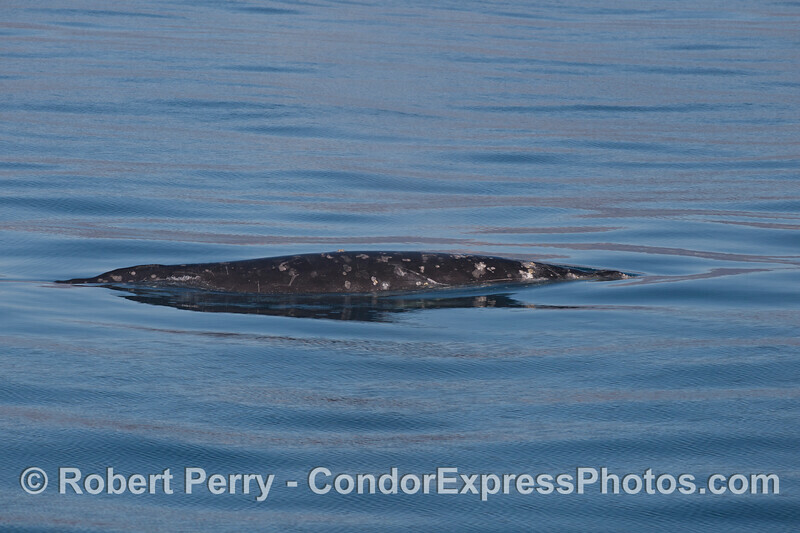 A Gray Whale (Eschrichtius robustus) spouts on a glassy morning. 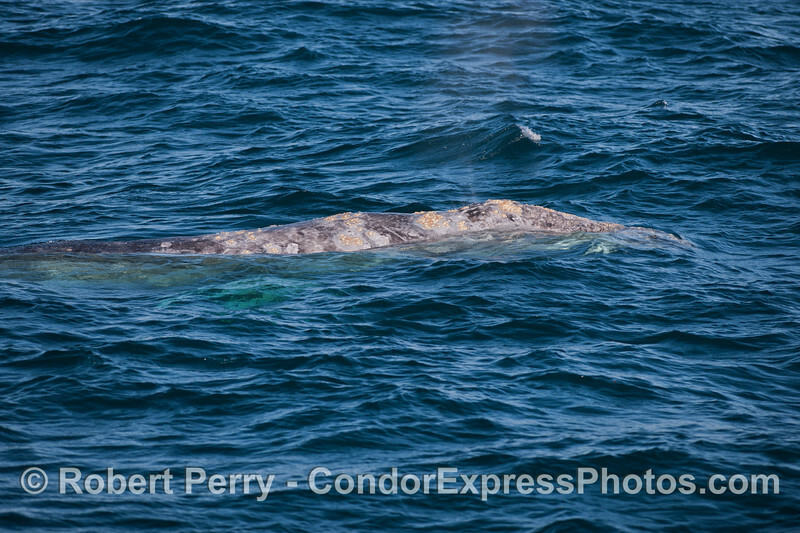 The right lateral aspect of a Gray Whale (Eschrichtius robustus). 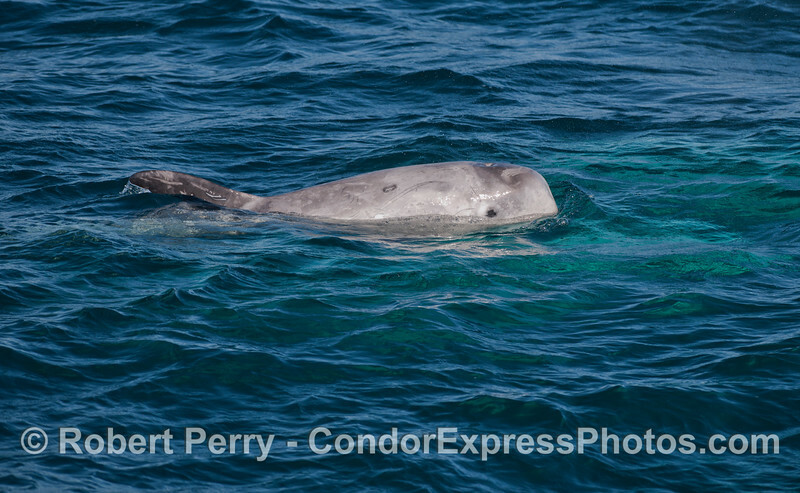 Notice the difference in coloration between this whale (a somewhat smaller, younger whale) and the rest of them in this gallery. 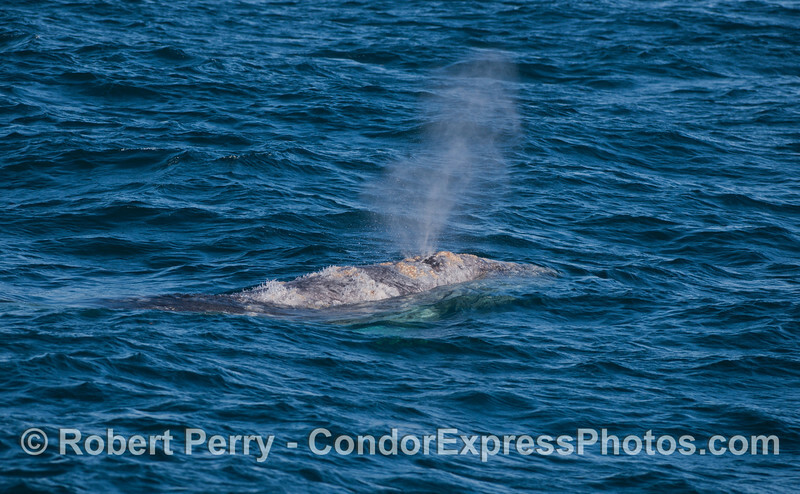 Gray Whale (Eschrichtius robustus), close up. 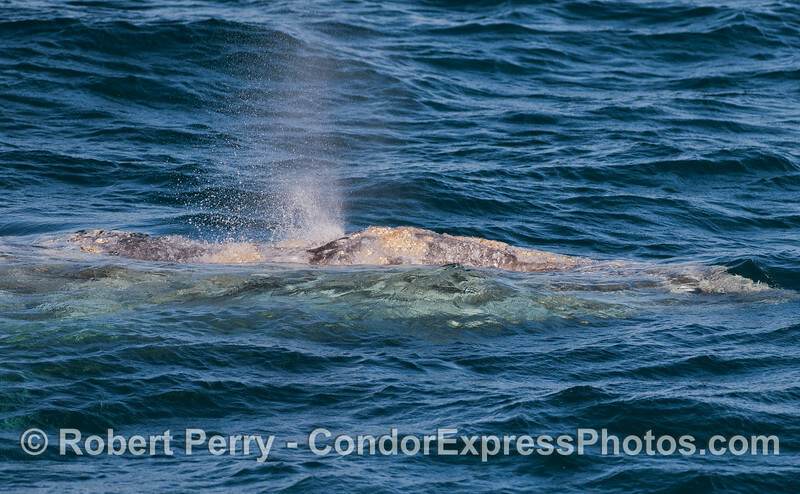 A close look at the head and spout of a Gray Whale (Eschrichtius robustus). 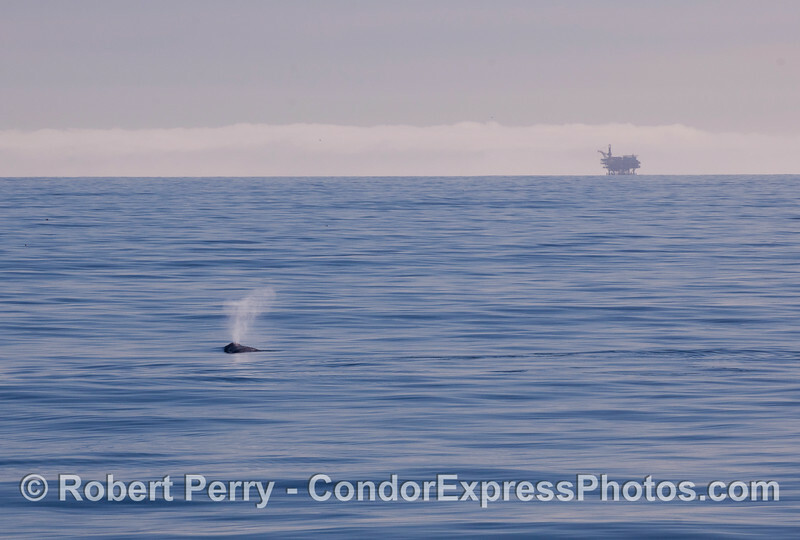 A spouting Gray Whale (Eschrichtius robustus) with Platform Habitat on the horizon. 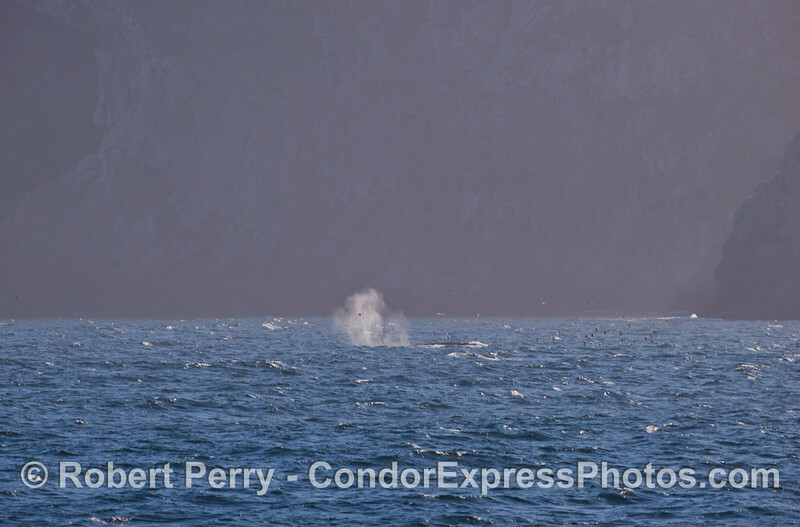 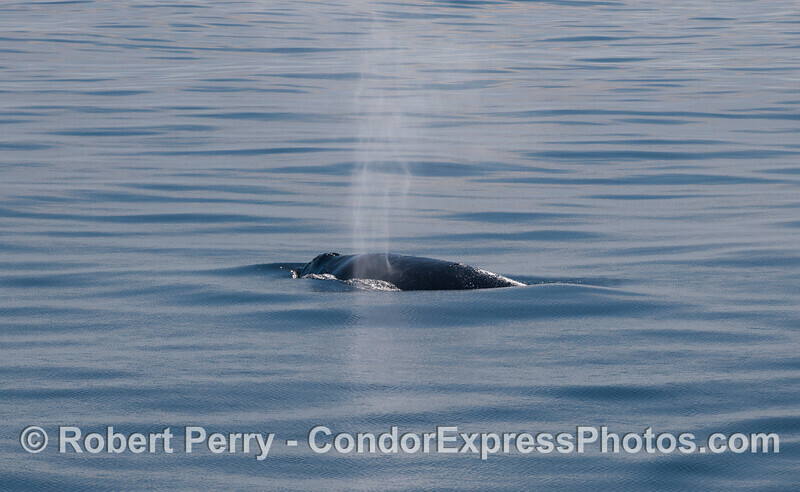 A bright spout of a Gray Whale (Eschrichtius robustus) near Santa Cruz Island. 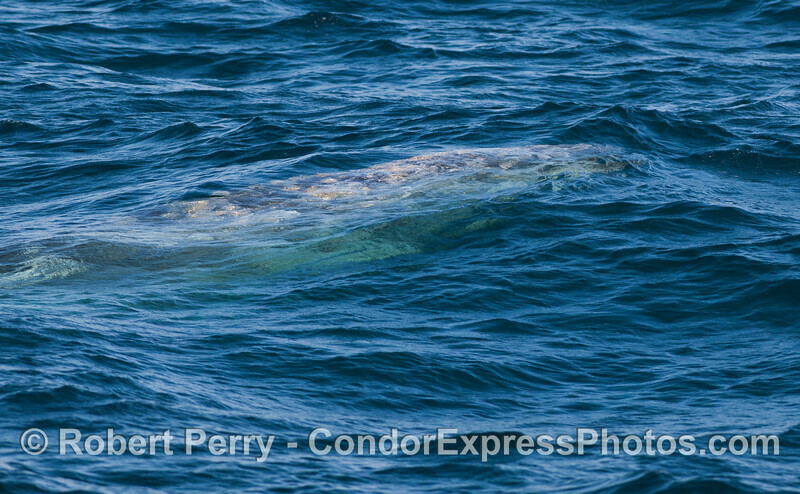 An underwater Gray Whale (Eschrichtius robustus). 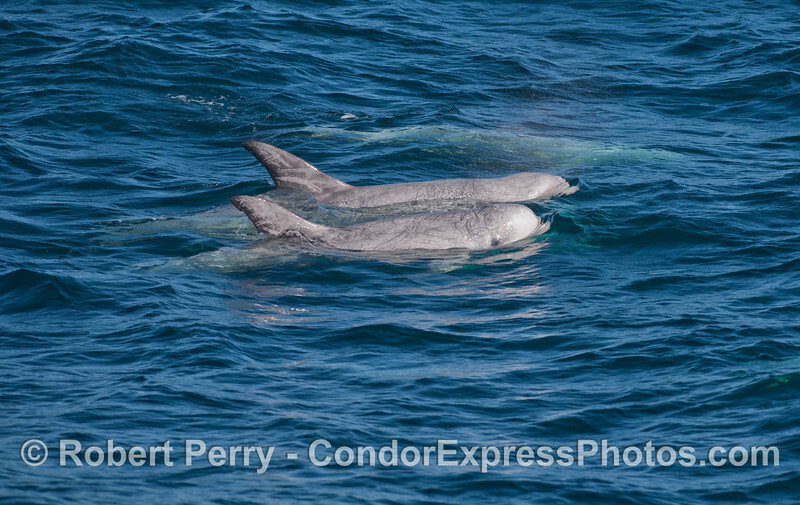 Two Risso's Dolphins (Grampus griseus) are seen on the surface, while a third travels just below. 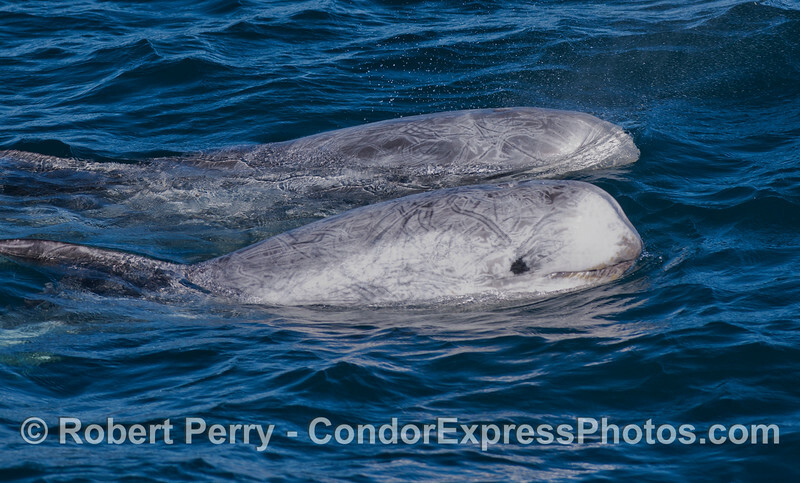 A very friendly approach by two Risso's Dolphins (Grampus griseus). 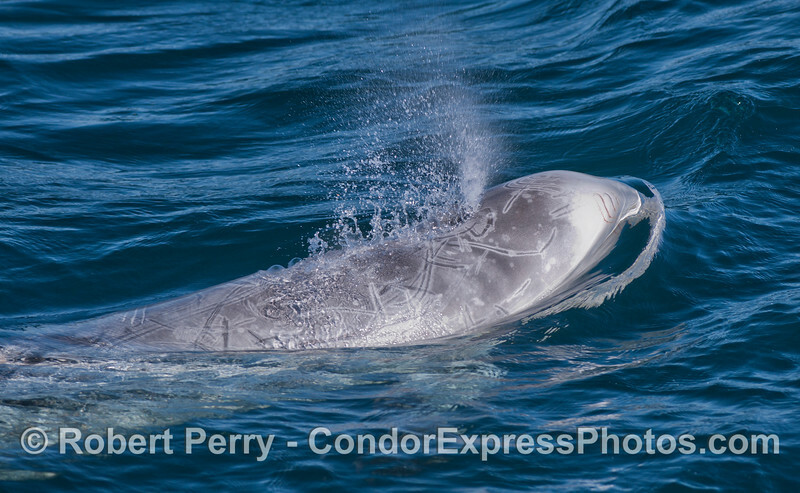 Spout of a Risso's Dolphin (Grampus griseus). 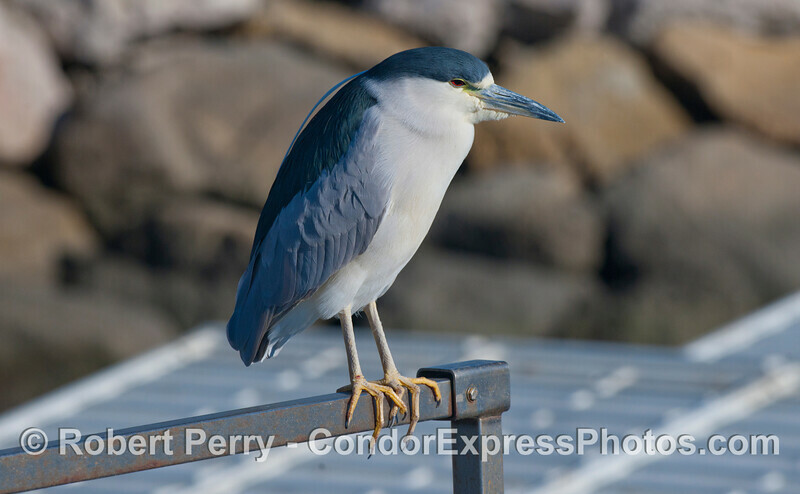 A Black-crowned Night Heron (Nycticorax nycticorax) perched in Santa Barbara Harbor. 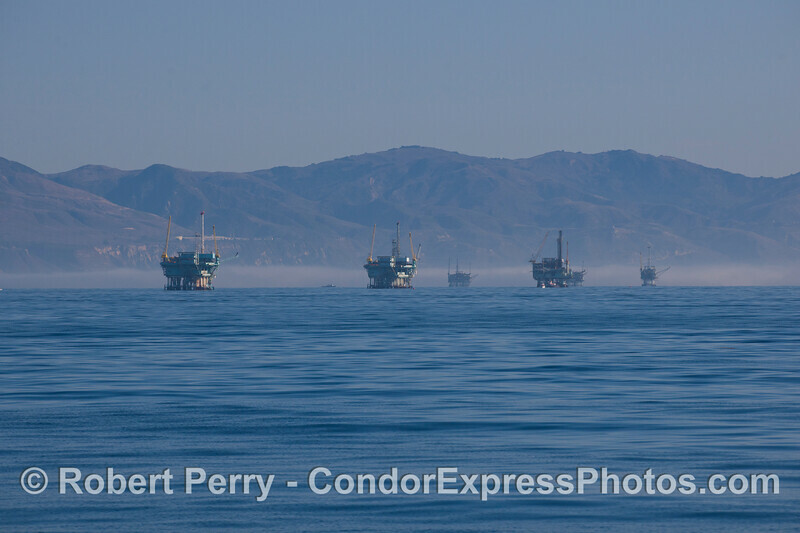 The oil platforms offshore (platforms B, A, Hillhouse, Henry and Hogan) are seen in the morning light. 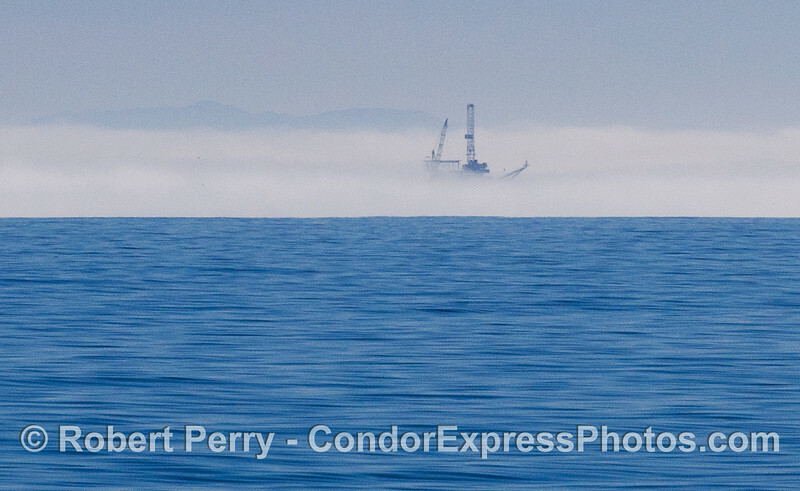 Oil platform in the fog.